I wrote an article on the economic lessons I learned from playing chess. In that article I mentioned this game and a second played against Edward Teller. The article talks about financial lessons which I learned from playing chess. I’m including this post to expand on that article for the analysis of a specific game of chess. This game took place at a social party where theoretical physicist Edward Teller invited me to play chess with him. I was 16 years old, but had been playing tournament chess for several years. Teller was 69 and was was world famous for his work in physics. In this game Teller under estimated my playing ability, tried to defeat a youngster quickly, and ended up losing in the process. Teller begins with what is called the Bowlder Attack. 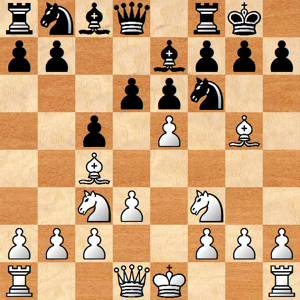 It is an attack which tries to strike quickly at Black’s weakest square, his king bishop pawn. This is the same square I found analyzing the game at six years old plotting and then succeeding to beat my father for the first time. It would work among club players or beginners, but at 16 I’d been playing at the tournament level for several years. Better is 7. O-O (Castle king’s side) but Teller wants only to press forward with an attack. 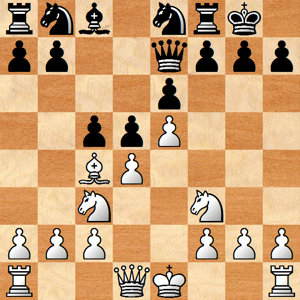 Up until this move both sides are playing a relatively straightforward opening developing their pieces. But now Teller pushes his king pawn in an effort to open up my defenses so that he can disrupt black’s pawn structure and defenses and those pieces can attack. Better would have been to take at least one more move to castle king’s side and take the time to put his own king in safety while developing his king’s rook. Again, better is 9. O-O but Teller continues his attack. My pawn attacking Teller’s bishop was intended to relieve some of the pressure in the center to allow my pieces to continue to develop. My pawn structure is a strong defense and my king is castled safely, but Teller’s pieces are better developed. 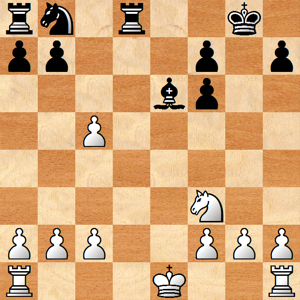 In what was Teller’s playing style, he decided to sacrifice his bishop for three of my pawns to see if once my pawn structure was out of the way he could press forward an attack. At this point Teller is still materially even (a bishop is worth about three pawns) and has all of black’s remaining pieces on the back row. 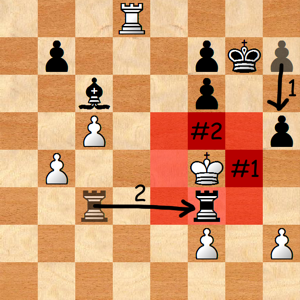 Teller’s weakness is that when the attack fails, his two advanced pawns will be vulnerable and could be lost. Mistake. 13. Nb4 or Nf4 is required. Teller gives up the first advanced pawn to open up black king side pawn defense. But Teller has exchanged so many pieces that he lacks the ability to press an attack on the opened king side. I’m now materially ahead by a bishop for two of Teller’s pawns. A bishop is usually worth three pawns, so it is as thought I am one pawn ahead. In tournament chess being a pawn ahead usually means a won game. This general principle is true in wealth management as well. Very small changes have large effects over time. My challenge in this situation is that my king’s bishop pawns are “doubled” meaning that they are in the same column and cannot defend one another in a chain or pawn structure. I am in danger of losing one of these pawns, but Teller is in danger of losing his advanced pawn. More effective is 16. … Na6. I begin my attack on Teller’s advanced pawn. Knight to a6 would have been more effective as it would have also attacked the square b4 and prevented Teller’s response. Now Teller’s king side pawn structure is just as weak and the game should be won for black. 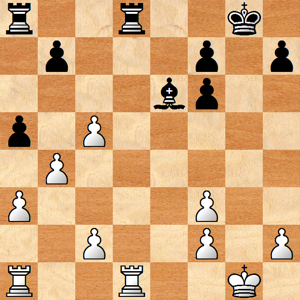 With a bishop for two pawns ahead I start exchanging material to reduce the game to a won position and then win some additional pawns. Accomplishing more would be 24. … Rd3. The move 25. Ra3 defends better. Winning faster is 25. … Rh3 26. Ra8 Rxc3 27. Ra1 Rb3. I’ve taken control of the position without giving up any material. Here I win another pawn. And I win a third pawn. Now I am ahead a bishop, having regained all three pawns. 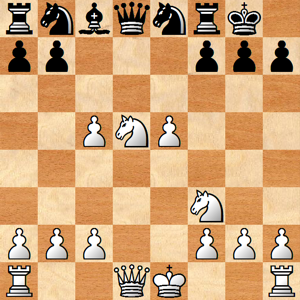 I missed the fact that white’s king was nearly cornered in the center of the board. Pushing the king rook pawn removes square #1 threatening move 2 which both checks the king as well as eliminating the white king’s last escape square #2. Instead I simply worked at continuing to clean up whites pawns to win the game. Missing the mate, but preserving the win. At this point Teller has no more attacking chances and resigns. Teller challenged me to a second game where I played the white pieces.